FLUID FILM – das aktive Rostschutz & Korrosionsschutzmittel | Stoppt Rost sofort! 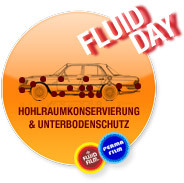 The FLUID FILM products , based on lanolin, form a softcoating and longlasting corrosion protection. areas, as can be seen from the following product description. of all viscosities every wirerope from the sizes 4 to 76 mm and extends by this way their life. power plants, cable cars, elevators, ski lifts and many others.